Is Kennametal Inc. (KMT) Going to Burn These Hedge Funds? Is Kennametal Inc. (NYSE:KMT) an excellent investment now? Prominent investors are becoming more confident. 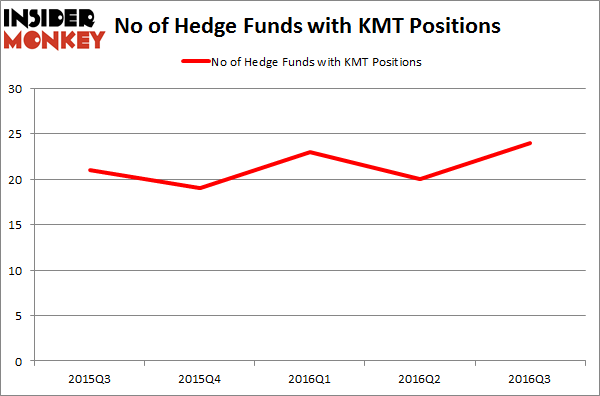 The number of long hedge fund positions increased by 4 lately. The level and the change in hedge fund popularity aren’t the only variables you need to analyze to decipher hedge funds’ perspectives. A stock may witness a boost in popularity but it may still be less popular than similarly priced stocks. That’s why at the end of this article we will examine companies such as Anixter International Inc. (NYSE:AXE), M/A-COM Technology Solutions Holdings (NASDAQ:MTSI), and Triumph Group Inc (NYSE:TGI) to gather more data points. With all of this in mind, let’s review the latest action surrounding Kennametal Inc. (NYSE:KMT). 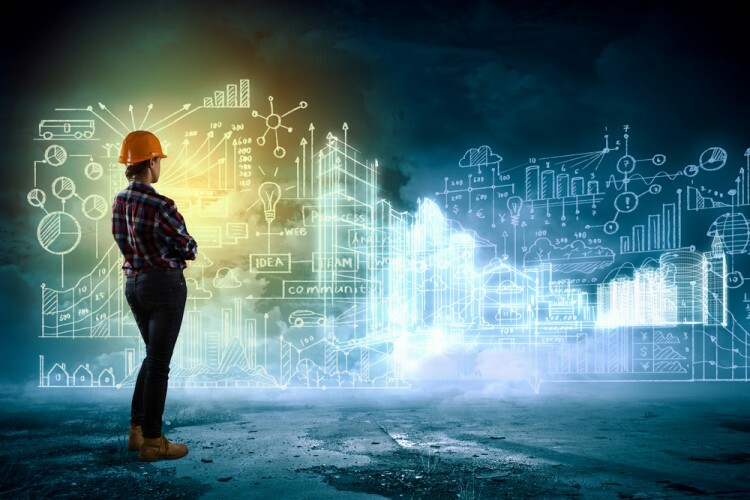 What does the smart money think about Kennametal Inc. (NYSE:KMT)? Heading into the fourth quarter of 2016, a total of 24 of the hedge funds tracked by Insider Monkey were bullish on this stock, a jump of 20% from one quarter earlier. With hedgies’ positions undergoing their usual ebb and flow, there exists a few noteworthy hedge fund managers who were upping their stakes considerably (or already accumulated large positions). Of the funds tracked by Insider Monkey, Ariel Investments, managed by John W. Rogers, holds the number one position in Kennametal Inc. (NYSE:KMT). According to regulatory filings, the ufnd has a $271 million position in the stock, comprising 3.3% of its 13F portfolio. Coming in second is AQR Capital Management, led by Cliff Asness, holding a $32.1 million position; the fund has less than 0.1% of its 13F portfolio invested in the stock. Remaining hedge funds and institutional investors with similar optimism encompass Israel Englander’s Millennium Management, Phill Gross and Robert Atchinson’s Adage Capital Management and Steve Cohen’s Point72 Asset Management. Here is What Hedge Funds Think About Danaher Corporation (DHR) Is Rite Aid Corporation (RAD) Worthy of Your Portfolio? Should You Buy Eli Lilly & Co. (LLY)? Does F5 Networks, Inc. (FFIV) Represent a Good Addition to Your Portfolio? Is Johnson Controls International plc (JCI) a Good Stock To Buy? What Smart Money Thinks About The Walt Disney Company (DIS)?